In an effort to keep the kitchen cool, this year I tried something new – grilling! Grilled Summer Squash has quickly become our favorite recipe for both zucchini squash and yellow summer squash. Plus, it is great for any real food diet including GAPS, Paleo, Keto and AIP. 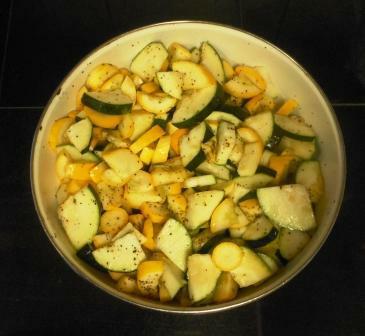 Our garden is producing a lot of zucchini and yellow squash and, we sure are enjoying it! In an effort to keep the kitchen cool, this year I tried something new – grilling! 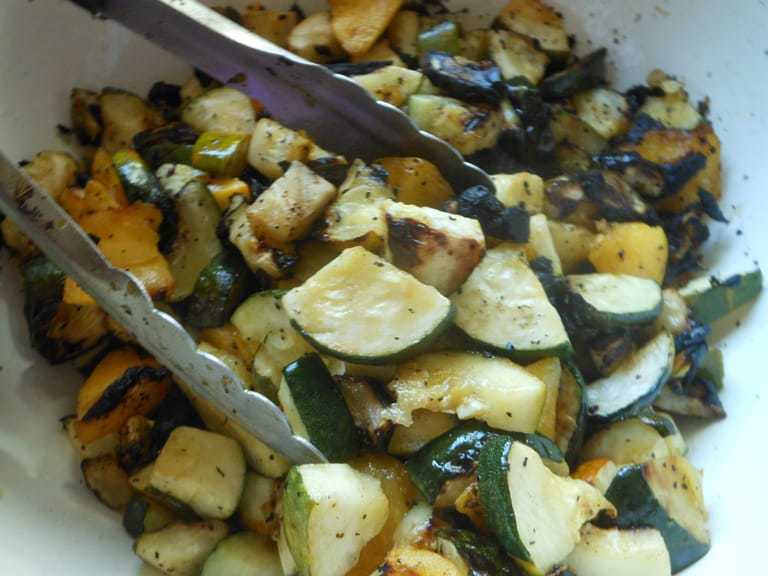 Grilled summer squash is definitely a family favorite. Besides tasting good, it is super duper easy. SHow Can I Serve Grilled Summer Squash? I could gobble up a whole plate of grilled squash since they are they are so delicious. serve them cold with salad and add homemade ranch dressing. There are so many ways to can serve grilled squash the options are endless. Do You Peel Squash Before Grilling? I don’t and you don’t need to. The skin has a lot of flavor and tastes great grilled. First, wash and cut up your squash into bite size chunks and place in a bowl. Next, toss with olive oil stirring to coat the squash. Add salt and pepper to taste. Finally, place the squash on the grill and stir to prevent burning. Grill until tender – about 25 – 40 mins. Add other vegetables to the mix, such as, carrots, onions and/or peppers. 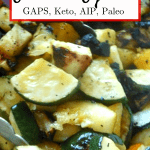 If you’ve tried this recipe for Grilled Summer Squash or any other recipe on Cultured Palate please take a minute to rate the recipe and leave a comment letting me know how you liked it. I love hearing from you! You can also FOLLOW ME on PINTEREST, FACEBOOK, INSTAGRAM, YouTube and TWITTER. Grilled summer squash is definitely an easy way to enjoy zucchini or yellow squash - it tastes great! Wash and cut up your squash into bite size chunks and place in a bowl. Toss with olive oil stirring to coat the squash. Add salt and pepper to taste. Finally, place the squash on the grill and stir to prevent burning. While I have grill pans, I prefer lining the grill with aluminum foil. This allows me to cook a larger quantity at one time. Grill until tender - about 25 - 40 mins. For variety: Add other spices such as garlic powder, lemon juice and even add other vegetables to the mix, such as, carrots, onions and/or peppers. Yummy! Grilled summer squash is one of our favorites. We slice them long & thin though & use a bit of Italian salad dressing on ours most of the time. For a big crew though, your way is the way to go! My squash has just started putting on and I cant tell you how thrilled I am. I’ve started dehydrating some.. but mostly Im eating it every day. We have so many wonderful squash from our garden right now this will be a great recipe for us to try. Your recipe is awesome! Hope you have a great weekend and thanks for sharing with Full Plate Thursday. 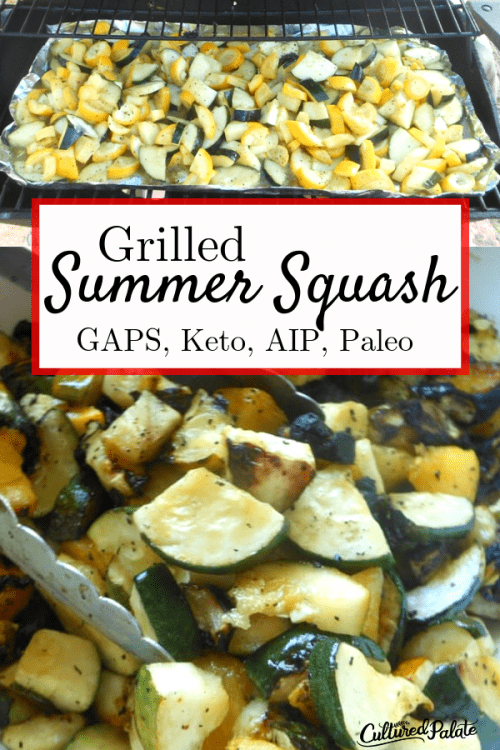 I love grilled squash in the summer it’s perfect for salads!